There’s only one thing more precious than critically endangered animals – baby critically endangered animals. From baby Bornean orangutans who are known to smile at their mothers to baby Sumatran tigers who play fight with their siblings, the offspring of the earth’s critically endangered species are really quite adorable. However, with shrinking populations, they are also vulnerable and in urgent need of protection if we want to see their species survive the threat of extinction. As we’re in the depths of winter, we thought we’d treat you to an extra special baby animal segment. And more specifically baby critically endangered animals who live and play in the jungles of Indonesia. Why? Because Indonesian jungles are hotspots of biodiversity, with countless critically endangered species and plants amongst their inhabitants. 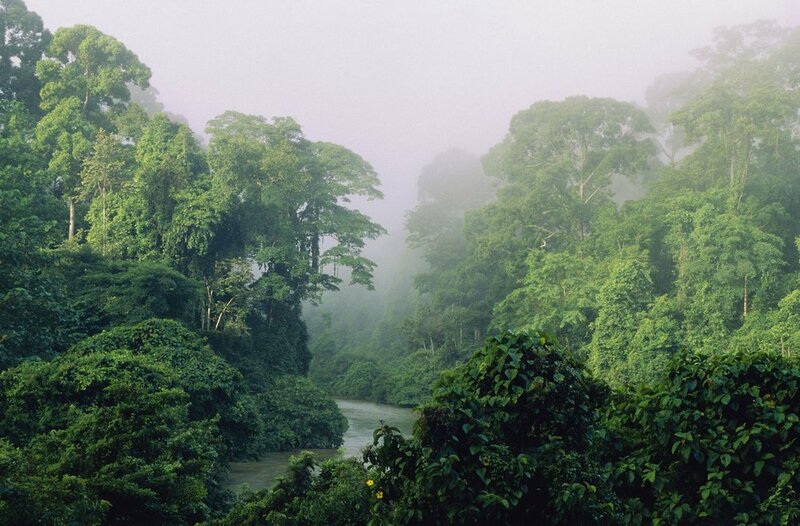 These jungles also provide a vital service to the planet by regulating its climate. However, they are unfortunately being destroyed to make room for palm oil, paper, and pulp plantations, which in turn puts the survival of many important animals at risk. Javan rhinos, Borneo Orangutans, Siamese crocodiles, Sumatran elephants, and Sumatran tigers are amongst the critically endangered creatures who inhabit the rapidly diminishing Indonesian jungles, and if we want our children to live in a time when such beautiful creatures and their young still roam the earth, we need to act now. Here are the critically endangered baby jungle animals that really caught our attention. First up, the baby Javan rhino. Their population has shrunk to just one group living in the Ujung Kulon National Park on the island of Java. Here, the species is at risk of being wiped out by natural disasters as this area is vulnerable to tsunamis and situated near a volcano. The population’s physical proximity also heightens the risk of inbreeding. The baby Sumatran tiger. Living on the Indonesian island of Sumatra, these beauties are sadly critically endangered, with fewer than 400 Sumatran tigers left in existence. Sumatra has been victim of some of the worst deforestation in Asia. When these beautiful animals have such a restricted habitat, the risk of human-animal conflict is heightened, causing yet more danger, for both the animals and the local people. Living along side our baby tigers in Sumatra are the Critically Endangered baby Sumatran elephants, with fewer than 3000 Sumatran elephants left. Almost 70% of the Sumatran elephant’s habitat has been demolished over the course of just one generation. Fourth on the list is the baby Siamese crocodile. The crocodile may not be a stereotypically cute creature, but these croc families challenge that notion. Unusually, both parents care for Siamese crocodile babies when they are newly-hatched and the creatures are known to live together in family units. However unfortunately their population has dwindled to fewer than 250, leaving very few Siamese crocodile families in the Indonesian jungles. Last up, the truly adorable Bornean orangutan is yet another creature who lives in the Indonesian jungles. Living on the island of Borneo, much of whose jungles have been destroyed by logging, mining, with much of the forest being converted into agriculture. The Bornean orangutan population has decreased by over 50% in the past twenty years. This leaves only around 1,500 in existence. When we talk about critically endangered animals such as the ones mentioned above, we often picture them fully-grown. However, we mustn’t forget their young, who are the fluffy beacons of hope in the survival of their species. These baby animals survival is reliant on the survival of the Indonesian jungle and if we want to see them grow up in a world where extinction doesn’t lurk around the corner, we need to help them right now.